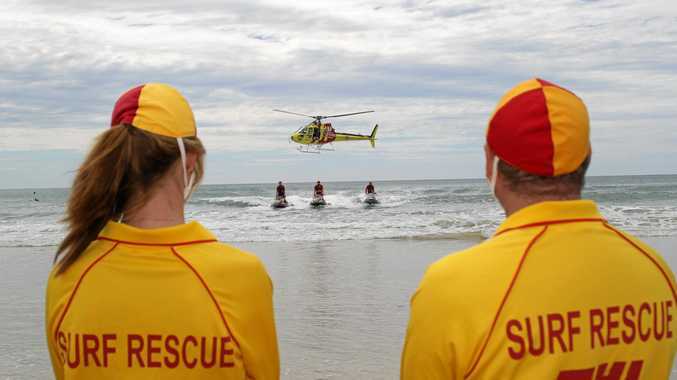 A TEENAGER has been hospitalised after nearly drowning in Caloundra making her the fourth young person to be rescued in less than an hour. A Queensland Ambulance Service spokesperson said a woman in her late teens was pulled from the water at Bulcock Beach about 11.13am. Life savers were required to give her oxygen after she was rescued and she was in a stable condition when paramedics arrived. She was transported to the Sunshine Coast University Hospital. Surf Life Saving Queensland reported two 10-year-old boys required assistance while swimming outside the flags about 10.45am at Alex Heads. Three minutes later, a further report came through that a 14-year-old boy was rescued from the same spot. None of the boys required medical assistance.